Hi there, well it doesn’t need to be cold and lonely through autumn and winter as I have planned a lovely selection of sound journeys and events to keep you nourished and full of inner warmth! Edinburgh Sound Journey, Broughton St Mary’s Church, Bellevue Crescent, EH3 6NE. £15, 7.30pm start, £15 payable on door. Edinburgh Sound Journey, Broughton St Mary’s Church, Bellevue Crescent, EH3 6NE, £15, 7.30pm start, £15 payable on door. Edinburgh Sound Journey, Edinburgh Sound Journey, Broughton St Mary’s Church, Bellevue Crescent, EH3 6NE, 7.30pm start, £15 payable on door. Edinburgh Sound Journey, Broughton St Mary’s Church, Bellevue Crescent, Edinburgh EH3 6NE, 7.30pm start, £15 payable on door. Sunday 20 November, 11am-5pm, Cauldrons of Creation, Space108 Peebles. How can these beautiful bowls be cauldrons of creation? How do we play them (different techniques included). How can we use them for myself, family, clients? Join me to have a wonderful day exploring the beautiful Tibetan Singing bowls, learning how to play them proficiently, mix them together, cleanse yourself, friends and space, and manifest intention. £50/40 conc. Facebook event to follow or contact me for further information. Relax deeply, breathe slowly, rest and be nurtured in a healing soundscape. With rich and resonant Tibetan singing bowls, cleansing sounds of quartz crystal singing bowls, gentle gongs, flute, gong and drum all bathing you in loving vibrations and guiding you a place of inner peace. Please bring a mat, blanket and cushion for comfort and reserve your place in advance via facebook or info@soundsphere.org.uk. This entry was posted in crystal singing bowls, drum, edinburgh, healing, healing through sound, healing voice, sound, sound healing, sound medicine, sound therapy, soundsphere, therapy, tibetan singing bowls, tribal, Uncategorized, voice on October 5, 2016 by Suzy Nairn. Soundsphere has Moved and Merged!! What you cannot see here is the lovely new therapy room (pictures coming soon), but you can see our fantastic BIG workshop space, where I was delighted to host the first Voice workshop on Sat 1 September. We are currently putting together a great programme of workshops and classes, and making preparations for launching the new School of Sound and Tribal Healing Arts for spring 2013 – more news to follow. 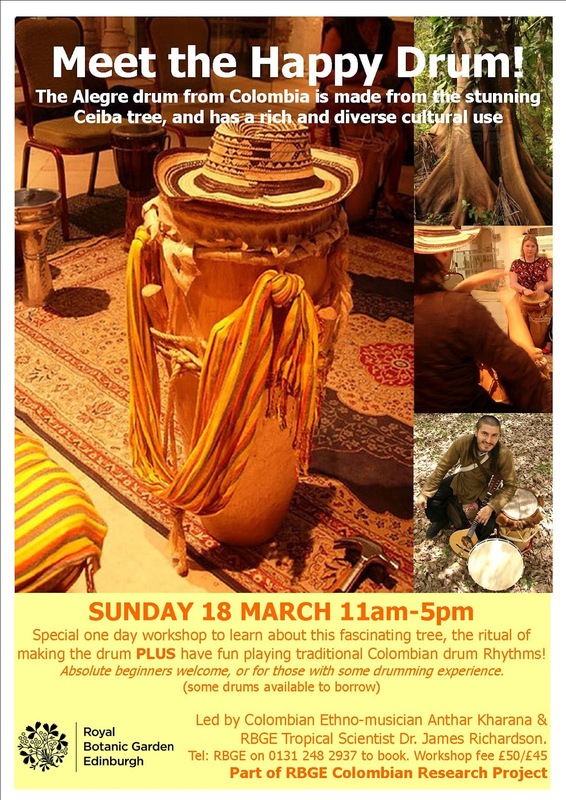 I am myself going off to Colombia to take part in Anthar Kharana’s Tribal Sound Healing retreat, where I will be delivering some sound workshops as well as learning more about this wonderful culture and land. *Our new address is 7 Silverbirch Studios, Cavalry Park, Peebles, EH45 9BU. This entry was posted in crystal singing bowls, drum, edinburgh, healing, healing through sound, healing voice, sound, sound healing, sound medicine, sound therapy, soundsphere, therapy, tibetan singing bowls, tribal, Uncategorized, voice on September 18, 2012 by Suzy Nairn. TIME OUT FOR A TASTER TREAT? What is it about complementary therapies that provide such enormous benefit to many? Is it the simple time-out? Is it the gentle touch on the energetic system that brings in healing or balancing of the natural body systems? Or is it the ability to reach an inner peace that allows the body to heal physical ailments and cope with the challenges of life? Well the therapists at Soundsphere Holistic Centre in Peebles are inviting locals to come and experience it for themselves with a new series of monthly Treatment Taster Evenings on the second Monday of every month. The Taster evenings will allow people to try a treatment in exchange for a donation, plus each month there will be a demonstration of a particular method, and free tea and coffee. The first evening is planned for Monday 11 June 7.00-9.00pm and tasters of reflexology, acupuncture, sound therapy, and head massage will be available. Plus there will be a demonstration of Hopi Ear Candles, a chance to find out more about Medical Herbalism and try a special hand blended herbal tea. Locals are invited to pop along to Soundsphere, 2 Rowan Court, Cavalry Park, Peebles, EH45 9BU. Sessions will be available on a first come first served basis and further details on the treatments can be found on the About Soundsphere page. This entry was posted in crystal singing bowls, drum, edinburgh, healing, healing through sound, healing voice, sound, sound healing, sound medicine, sound therapy, soundsphere, therapy, tibetan singing bowls, tribal, Uncategorized, voice on June 8, 2012 by Suzy Nairn. This entry was posted in crystal singing bowls, drum, edinburgh, healing, healing through sound, healing voice, sound, sound healing, sound medicine, sound therapy, soundsphere, therapy, tibetan singing bowls, tribal, Uncategorized, voice on April 30, 2012 by Suzy Nairn. The weekend will be hosted by Anthar Kharana of Tribal Healing Sounds and Suzanne Harris of Soundsphere. Further details on their work can be found on their websites- see links below. Anthar and Suzanne have been working together since 2007 sharing their soundwork and music with people all over the country. Sunday: Developing from the work on day 1, we will take the sounds out into nature to enhance and deepen our connection. Deposit £60. Full Payment required by 31 May 2012 -* Cancellation refunds can only be given after that date if we manage to fill your place. This entry was posted in crystal singing bowls, drum, edinburgh, healing, healing through sound, healing voice, sound, sound healing, sound medicine, sound therapy, soundsphere, therapy, tibetan singing bowls, tribal, Uncategorized, voice on April 2, 2012 by Suzy Nairn. This entry was posted in crystal singing bowls, drum, edinburgh, healing, healing through sound, healing voice, sound, sound healing, sound medicine, sound therapy, soundsphere, therapy, tibetan singing bowls, tribal, Uncategorized, voice on March 9, 2012 by Suzy Nairn. Sound Journeys are an opportunity to experience the power of sound in a collective context, allowing you to be immersed by deep and powerful soundscapes. They can guide an inner journey and help amplify the vision of life in the wider scale, plus they offer a deep relaxing experience, yet are energising and grounding. Please bring a blanket and cushion for your own comfort. A nurturing and strengthening soundscape of Tibetan and crystal singing bowls, drum, gentle gong, flutes…. Anthar will start the Journey by leading us in a greeting to the four corners of the Heart, and a call to our Ancestors to guide us in the journey. He will also explain which aspect of life is the focus for that day according to the animal medicine wheel. Plus we will also be reflecting on the significance of the spring equinox and deepening with our connection to that. Reservations via Suzanne 07875 272571 or info@soundsphere.org.uk. This entry was posted in crystal singing bowls, drum, edinburgh, healing, healing through sound, healing voice, sound, sound healing, sound medicine, sound therapy, soundsphere, therapy, tibetan singing bowls, tribal, Uncategorized, voice on March 4, 2012 by Suzy Nairn. Divine, Gongs, Drums, Journeys and Retreats! Venue: Edinburgh Theosophical Society, 28 Great King Street, Edinburgh, EH3 6QH. Venue: Edinburgh Theosophical Society, 28 Great King Street, Edinburgh, EH3 6QH. Time: 7.30pm-9.30pm. 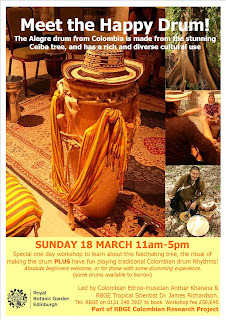 Saturday March 18th: Meet the Happy Drum! This entry was posted in crystal singing bowls, drum, edinburgh, healing, healing through sound, healing voice, sound, sound healing, sound medicine, sound therapy, soundsphere, therapy, tibetan singing bowls, tribal, Uncategorized, voice on February 20, 2012 by Suzy Nairn.